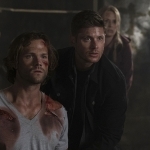 Potential betrayal surrounds the Winchesters and we’re left to wonder who we can trust. When the finale comes, are our favorite characters going to be on the right side? Or will the world go to ruin when Lucifer’s offspring makes his debut? It’s going to be tense! Kelly is one of those characters that has circled through being liked and disliked, round and round, because of her predicament. On one hand, I can understand her desire to keep her child safe, but on the other hand I know that the baby is likely to bring about the end of the world as we know it. And it’s clear that the power she’s carrying is draining her of life, little by little. Being force-fed vitamins, losing energy, being unwilling to care for herself…it was all leading up to that dramatic moment when she wanted to end it all. Good plan, but she lost the ability to choose her future when that baby was conceived. And her unborn son is not going to let Mommy-dearest get out of her role so easily. Too bad Kelly took that revival from the dead as a sign he wants to protect her. No, he doesn’t, he just wants to use her long enough to make sure he’s born. Then, Kelly will be nothing more than disposable. And Cas knows this, or at least he seemed to before Kelly got hold of him. The world will end if Kelly and her baby don’t die. Taking her back to Heaven seems like the best, and most humane, choice since neither will feel any pain when they cease to be. But that was not to be, since Cas did a turnabout and devoted himself to their protection. 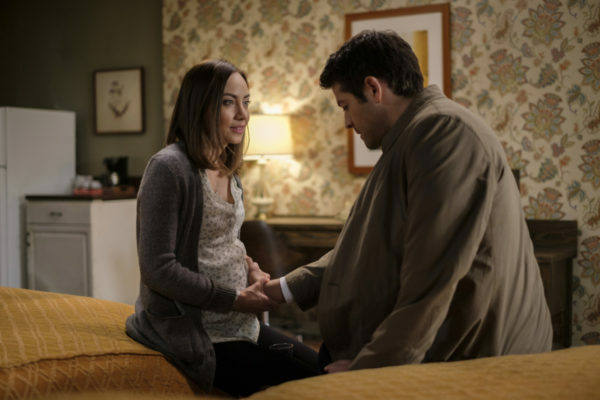 Sure, the baby might be pure, but he might also be manipulating Cas. We’ve seen the angel fall on the wrong side of the fight before, so I don’t think this will be much different. I’m sad to see what this is doing to his relationship with Sam and Dean, however. The secrets and lies cannot continue. Dean’s reaction to Cas’s disappearance was justified, as was his anger over Cas stealing the Colt. Oh, the Colt! When Dagon melted it, I called out in despair. Why bring back our beloved weapon after so long only to destroy it? The Supernatural writers are so cruel. But they did give us a glimmer of hope that we could get out of this apocalyptic situation without Kelly or the baby dying. Cas was able to remove the angel grace from Sam, so theoretically he could do it to the baby, too, and return him to normality. Yes, it’s dangerous and Kelly or the baby might die in the process, but they were already headed in that direction anyway. Grab onto the potential solution rather than trusting that it will all work out in the end. 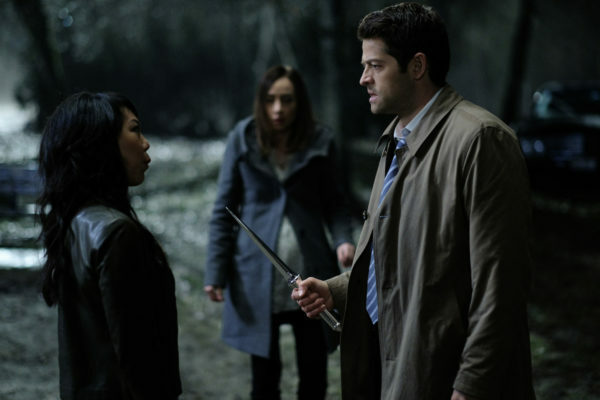 In the end, Cas betrays the Winchesters’ trust and heads out with Kelly under his protection. I grow weary of Cas acting under the motivation of “protecting the Winchesters” when he makes such dangerous choices. And at some point the extension of forgiveness from Dean and Sam has got to stop. 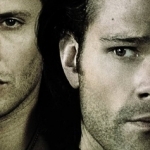 Time and again Cas does things that end up costing lives or puts the boys in mortal danger. Is he too blind to see that the baby is messing with his mind? 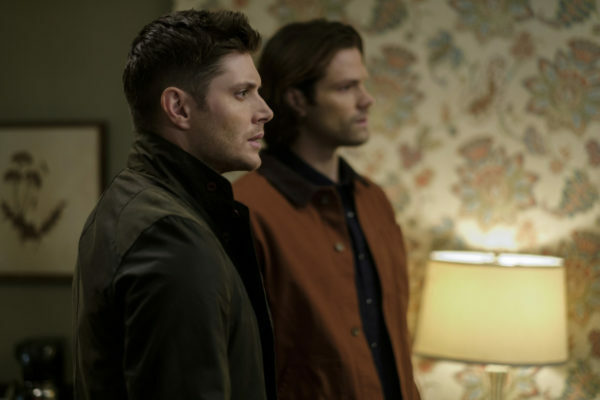 I fear that Dean and Sam are going to be forced to make a deadly choice to save the world again. 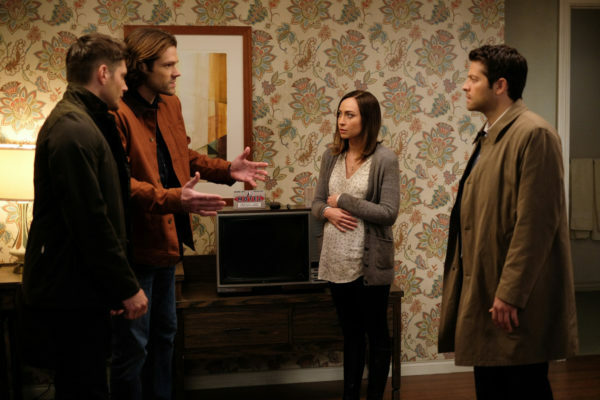 And potentially Cas will be making sacrifices as well, but who I’m most concerned about is Mary. I have this fear that she will be the one who won’t make it through to another season. They lost their mother once. I hope they won’t have to go through that again. I guess we’ll just have to wait and see how it will all end!